Everyone has to eat, but they don't have to eat on boring dinnerware. 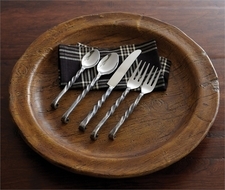 Rustic Furniture needs rustic dinnerware and you won't find a better selection anywhere. We have many different styles to choose from, and they all have one thing in common,they go great with lodge furniture. 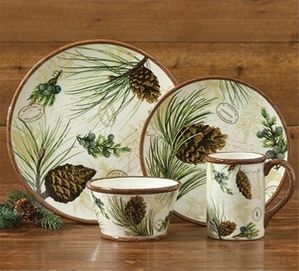 These sets of dinnerware go great with any decor, but they are perfect for cabin furniture.